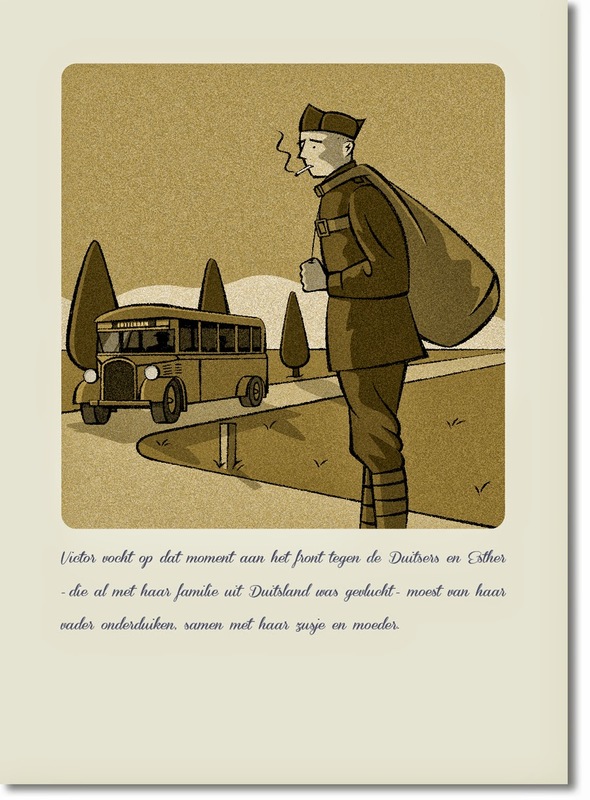 I'm participating in this year's Kunststripbeurs this saturday (21st of march) in the Nicolaikerk, Utrecht. Doors open at 10 o'clock. 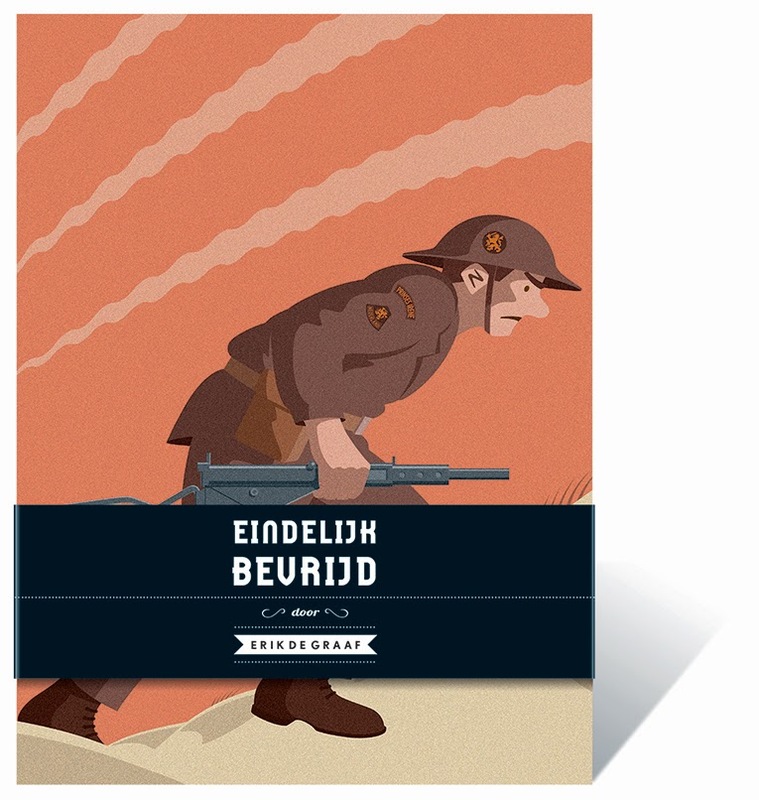 Apart from my other work I will bring a special leporello of my short story 'Eindelijk bevrijd'. A numbered (25 copies) and signed edition with some extras. And a signed print for those who will buy 'Scherven'. Hope to see you there! I've started coloring the sequel on 'Scherven', it will be called 'Littekens'. First I've done a prologue, here are some images. 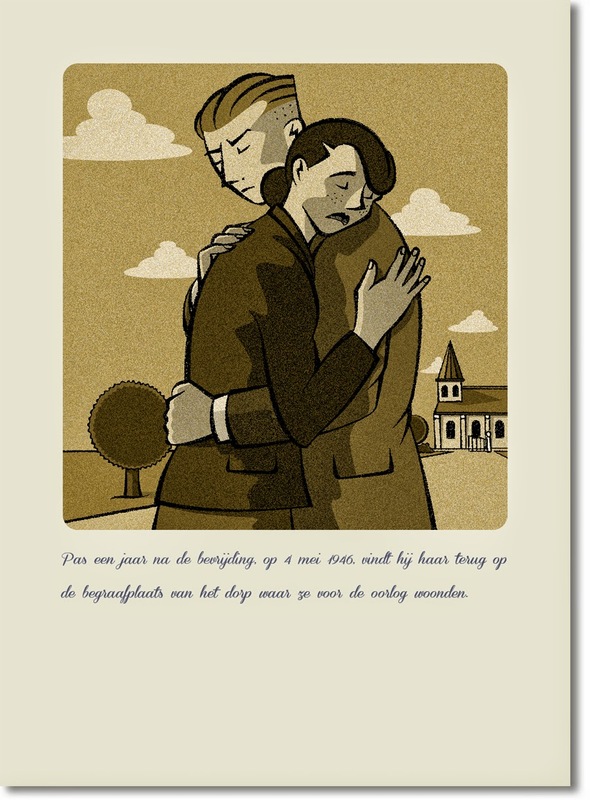 Besides 'Scherven' I'm also working on a smaller project called 'Uit het Laagland'. You could call it a Graphic Letter (instead of a Graphic Novel). 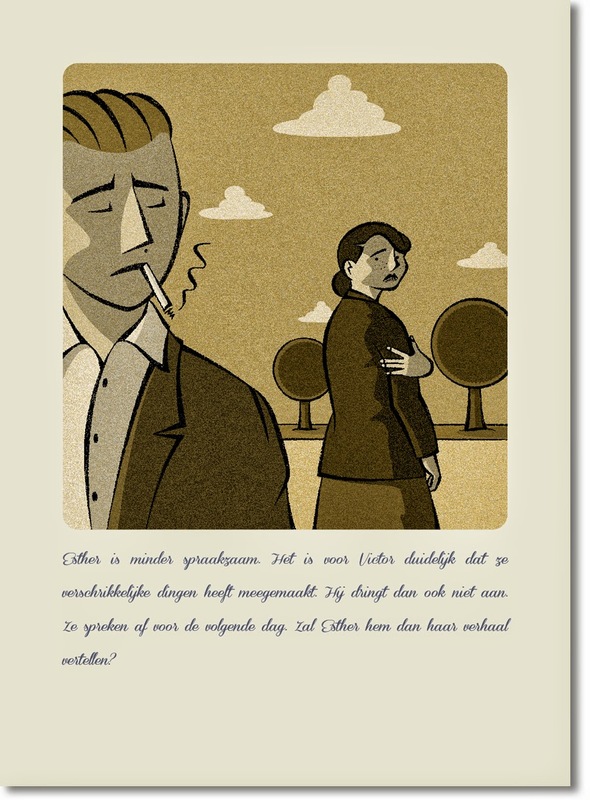 The beautiful script is written by Oliver Kerkdijk. It's a letter from a young man from France, called Vincent, to his grandfather. He is following the track of is grandpa by bicycle from France to the Netherlands. On that journey he discovers the places where is granddad has lived. The story will be drawn in warm grey with red and blue accents.